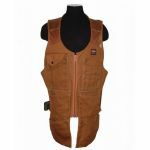 The Bucket Boss Duckwear Super Shop Vest (Small/Medium) is the perfect item for your shop. 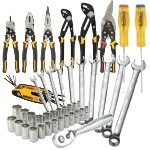 If you are going to be working in a work shop you want to be able to reach for small tools or a writing instrument quickly, and this product fits the bill. Made of 18 oz. 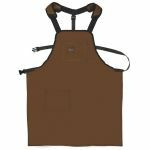 Duckwear Canvas this is a full coverage vest to protect you from saw dust and flying debris. 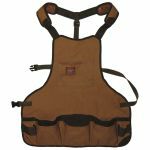 It includes 14 pockets to hold tools, pencils and pens and has a mesh shoulder and back to keep you cool. 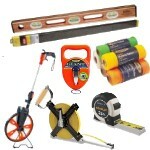 There are also two adjustable, removable extension pockets and a web hammer holder.